FlixMobility is a young mobility provider that has changed the way over 100 million people have traveled since launching the FlixBus brand in 2013. 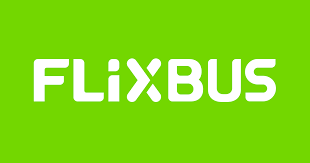 A unique combination of tech startup, e-commerce platform and sustainable transportation company, FlixBus allows travelers to experience the world, no matter their budget. The success of FlixBus can be attributed to the digitalization of the traditional bus industry. With tech solutions such as the FlixBus App, e-ticketing, free Wi-Fi and power outlets, “Where’s My Bus” GPS live tracking and an automated Delay-Management System, we are continuing to revolutionize traditional bus travel. Through smart network planning and dynamic pricing, we can provide our customers with the best offers possible. Our green FlixBus fleet relies on close Bus Partnerships with small and medium-sized companies, often family-owned businesses, who act as our regional partners and are responsible for the day-to-day operation of the buses.